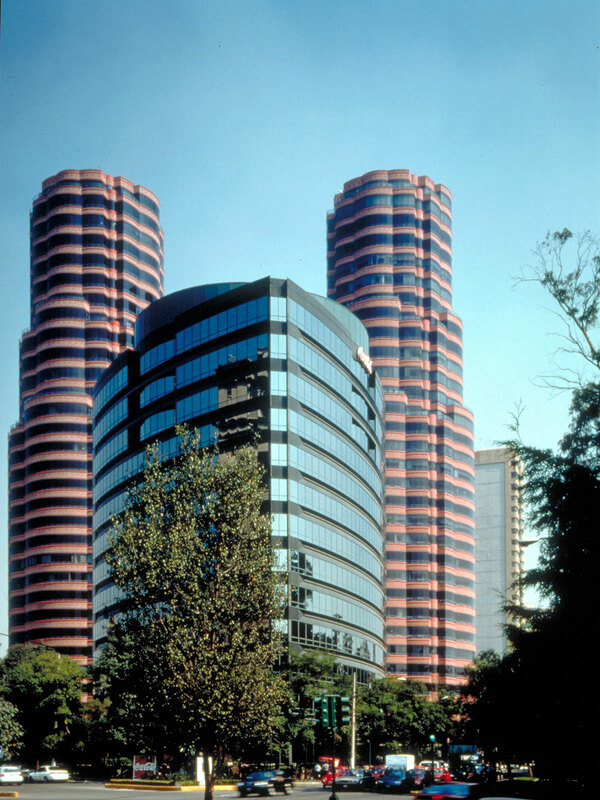 Completed in 1997, Del Bosque is a 795,353-square-foot office and residential complex located in Mexico City's prestigious Polanco District. 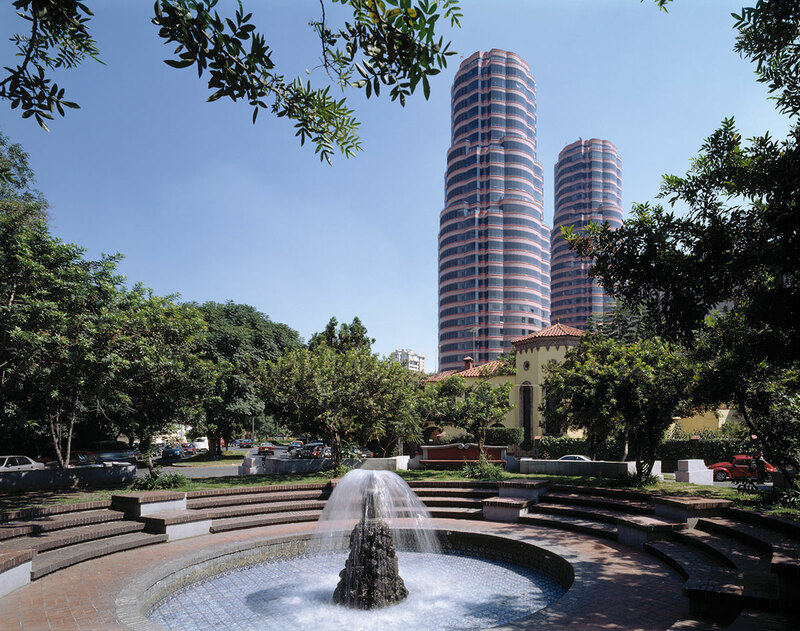 The complex consists of two 30-story condominium towers containing 94 units, and a 13-story office tower. 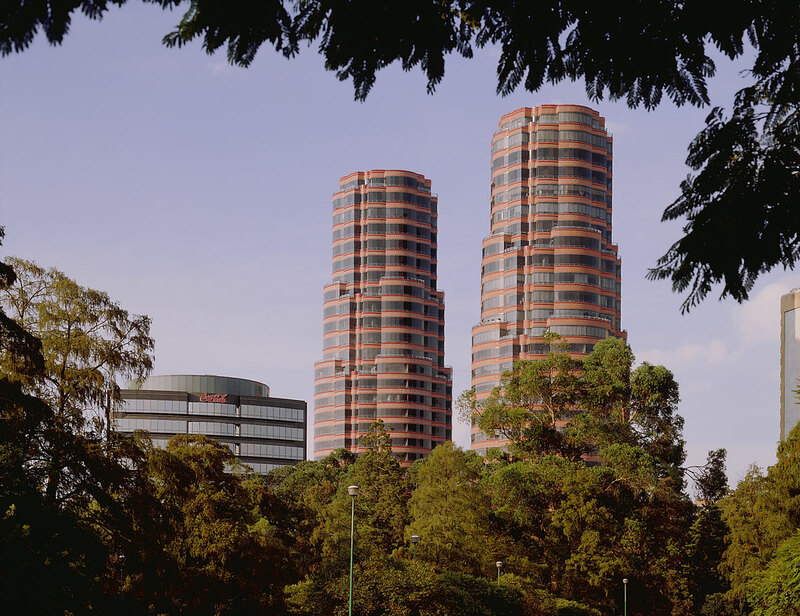 Designed by world-famous architect Cesar Pelli & Associates, the three towers of Del Bosque complement the geometry of the site and provide maximum exposure to Chapultapec Park. The office tower's sculpted exterior façade is a combination of gray reflective glass and green granite, while the two condominium towers feature terra-cotta colored concrete panels arranged in a geometric pattern. The office tower features the finest in international quality office space and includes both a gymnasium and a conference center. The condominium towers feature underground parking and a fully equipped athletic and spa facility. Each building also contains a large party room in its lobby.